Jo regularly praised the host country and even indulged in a spot of sight-seeing. Adulation for supreme leader Kim Jong-Un, usually a mainstay of North Korean press conferences, has been surprisingly sparing. “I’ve been very pleased while staying in Australia,” Jo said ahead of North Korea’s final Asian Cup Group B game against China, which they lost 2-1 to end with three defeats. Australia at the height of the southern summer is certainly very different from Pyongyang, capital of the nuclear-armed country, in shivering January. But North Korean footballers have not always behaved themselves Down Under. At the 2006 Women’s Asian Cup in Australia, three North Koreans received bans for a physical attack on a referee. Dark deeds continued at the 2011 Women’s World Cup in Germany, where five players tested positive for steroids — a result they blamed on taking traditional musk deer gland medicine to treat lightning strikes. 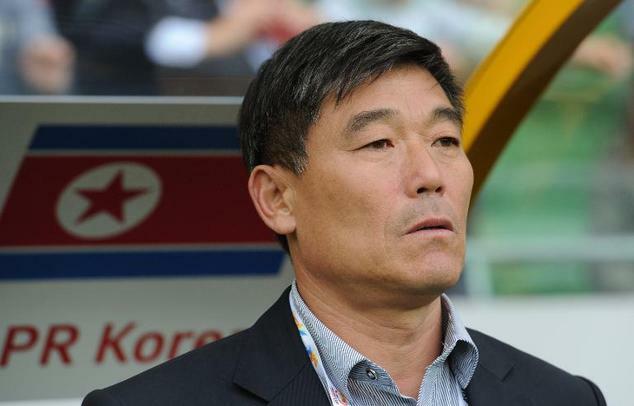 At the current tournament, Jong Il-Gwan was booked just seconds into the 4-1 defeat by Saudi Arabia, and Ri Yong-Jik was unfortunate to be sent off when a shot came off the bar and hit his arm. But there was no petulance or major indiscipline. When the referee blew for full-time instead of giving North Korea a corner as they pressed for an equaliser against Uzbekistan, the players protested briefly before heading obediently for the tunnel. “This is my first visit to Australia and my first impression is that the people in Australia are very kind. From all the organisers and guys in the hotels, everybody,” said midfielder Ryang Yong-Gi. The North Koreans have been well supported during their matches, with hundreds of people chanting “Kim Jong-Un, ole ole ole!” at the Saudi game in Melbourne. It is a far cry from the propoganda-driven cheerleading squad of carefully selected beauties — one of whom is now married to Kim — that the Chollima (“Thousand-Mile Horse”) often bring to tournaments. Under sports-loving leader Kim, North Korea is investing in football, with high hopes for future generations of stars after the Pyongyang International Football School opened in 2013. Rewards for sporting success often come in the form of cars and apartments, but North Korea can be equally harsh on those who fail. According to media reports, the players and staff who flopped at the 2010 World Cup were subjected to a six-hour public inquisition for “betraying” North Korea’s ideological struggle, before being sent to work on a building site. However, Jo expects only rational analysis of the team’s performance in Australia, rather than blame-finding and punishment. “We wanted to prove our skills in the tournament and as you all know it didn’t work very well,” Jo said. “But our football associations, a group of experts, and we ourselves will analyse what was lacking and find the way to improve it. Their progress will, however, have been closely watched by Kim, who gave them “valuable instruction” during the tournament, according to Jo. Posted in Senza categoria on gennaio 19, 2015 by calciocorea.